Rush translation starting at 1:50. Darius Rochebin (Anchor): Yasser Arafat died in Paris on 11 November 2004 aged 75, almost ten years ago, and the mystery persists about the cause. Swiss experts talk about a poisoning theory that can be reasonably supported. French experts by contrast speak of death by natural causes and, I quote, of "old age." Tonight experts from CHUV (University Hospital Center of Vaud) react. Laurent Dufour reports. Laurent Dufour (reporter): On his [Arafat's] body, French and Swiss scientists found the same thing: polonium levels 18-36 times higher than normal. But for the French experts there is a simple explanation: radon, a radioactive gas present in nature and therefore in the tomb of Yasser Arafat, that can be transformed into polonium. So according to this version it is the environment of the tomb that contaminated the body and the Palestinian leader would have died of natural causes. A theory rejected by the experts in Lausanne. Francois Bochud, Director Institut de Radiophysique Appliquee, CHUV: If radon was sufficient to explain what we observe, then you would see the same thing in all the soil samples. We found levels of lead and polonium 17 times higher in the soil samples that were taken from just beneath the body compared with this taken from further away. Dufour: For the professor, if the two sets of experts differ it is because among the scientists sent to Ramallah, only the Swiss team included radiation specialists. Bochud: The samples were measured by highly competent people at [unclear] in Paris, but at the site there were police officers, a judge, a doctor, a toxicologist but no one who knew anything about radiation. So it is more difficult to select good samples when you don't know anything, than when you are on site with radiation specialists. Dufour: Two diametrically opposed conclusions and a widow visibly upset. [Video] Suha Arafat: You can only imagine how devastated I am by these contradictions among the best experts in Europe. Dufour: But for Francois Bochud the important thing is the levels of polonium, levels that were identical in both reports. Bochud: So there's no doubt about what we wrote. And I'd even say that the fact we have confirmation of our base measurements from the French laboratory is more than anything an element in favor of the conclusion we rendered a month ago. Dufour: A prudent conclusion, but one that indeed points toward the poisoning of Yasser Arafat. Anchor: Patrice Mangin, good evening. You are the director of the Romand university centre for legal medicine, and are a key figure in all this. First of all, what do you think of the thesis of generalized infection? Mangin: I am a bit surprised by this explanation because I remind you that Mr. Arafat was hospitalized for two weeks in Paris where the greatest experts were brought to bear and no cause was established. Notably, the generalized infection hypothesis seems to be the one most easily dismissed - no fever, no infectious [unclear]. All the microbiological tests were negative. Anchor: The formula 'death of natural causes' seems strange? Mangin: It appears strange to me because the moment you say "death of natural causes" it means you have a precise diagnosis. Even with all the advanced diagnostics, that seems to me debatable. Anchor: Given polonium 18-36 times higher than normal, do you understand the interpretation given by the French? Mangin: No I don't understand because, as was said with regard to the radon theory, of course, we considered it. But we rejected it. We rejected it for reasons that are a bit long to explain but which in any case appear to me to be entirely justified. Anchor: You went very far, you even bought some polonium to make comparisons. Mangin: Absolutely. Professor Bochud and his team procured a source of polonium in order to examine how polonium would behave over time. Anchor: Many open questions, no autopsy. Mangin: No autopsy, which is stunning. Anchor: No samples [from the body], even though they were taken it is not known where they are. Mangin: What's stunning is that samples were taken [from Arafat] for toxicological tests in an institute belonging to the army and even for radio elements and these samples were destroyed. Anchor: You were telling me earlier you have 30 years of experience. You have autopsied thousands of bodies. You were present when Arafat's body was exhumed. It was in the condition of a skeleton. Anchor: At that point was it still possible to carry out an investigation? Mangin: Based on the elements [samples] taken, yes, of course. Anchor: Is there a risk we'll remain in a situation of historic doubt as for Napolean and arsenic? Mangin: I think we will remain in doubt, because I remind you that we were very cautious in our conclusions and we put forward hypotheses, not certainty. Anchor: You said you obtained polonium for your investigations... if it was poisoning isn't it difficult to obtain polonium? Mangin: Yes you can't buy polonium in a pharmacy. It's true it is difficult to get. It requires authorizations. Mangin: In order to produce polonium, you need to have a reactor, so it is states that control this kind of chemistry and so of course it is difficult. Anchor: Last word. The Swiss thesis.. there was the word "reasonably." One can "reasonably" support the poisoning theory. You uphold that? Mangin: Absolutely. All the way. When I was little, I played with Stickle Bricks. One day, when I was in the second grade, I took a few bricks with me to school. I liked having them in my hand. It just so happened that Stickle Bricks were also among the toys we had in our classroom. They were very popular in the 1970s. 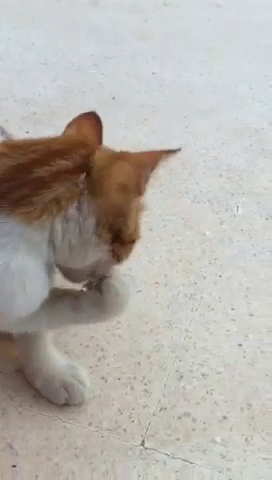 At the end of the day, as I was about to go home, my teacher Miss K saw the bricks in my hand. I wasn’t hiding them. She came over and said that I could not take the bricks home. They belonged to the school. I explained to her that these bricks did not belong to the school. They were my bricks that I had brought with me from home. Miss K got quite cross. “Don’t fib!” she said, and she took my bricks. Although I haven’t thought about it recently, this incident stayed with me for many years. I remember distinctly that it was the first time I had ever heard the word “fib.” I knew the word “lie,” and I wasn’t lying. I must have worked out the meaning of “fib” from the context. From that day, I lost all trust in Miss K, and thankfully I only had her as my teacher that year. The following year, I had Mrs. M, whom I had had in first grade and liked much better. I don’t think I ever told anyone what happened, because I was sure I would get in trouble. I remembered this today when listening to the voices of people on the BBC – now adults – who were victimized by the late BBC star Jimmy Savile, as much a fixture of my 1970s childhood as Stickle Bricks. Savile sexually assaulted hundreds of children over six decades, often targeting the most vulnerable in hospitals or residential schools. A recurrent theme was that children did speak up and time and again were not believed; they were accused of fibbing. The earliest report of Savile’s offenses occurred in 1955, and the most recent in 2009, according to the official police inquiry released today. As I listened, I remembered how upsetting it had been to be accused of lying over something as insignificant as a few Stickle Bricks. I couldn’t imagine what it would be like to live with what these and so many other victims had to endure because no one believed them or they feared no one would. Thank you for reading my blog at Posterous, a rich record of my activities, talks, reportage, media appearances and other experiences over the past two years. Please bookmark that blog and join me there. I will certainly keep this blog here as an archive and may at some point post personal stuff to it. Photo: A tree in Lifta for me and my mum - awaiting return. 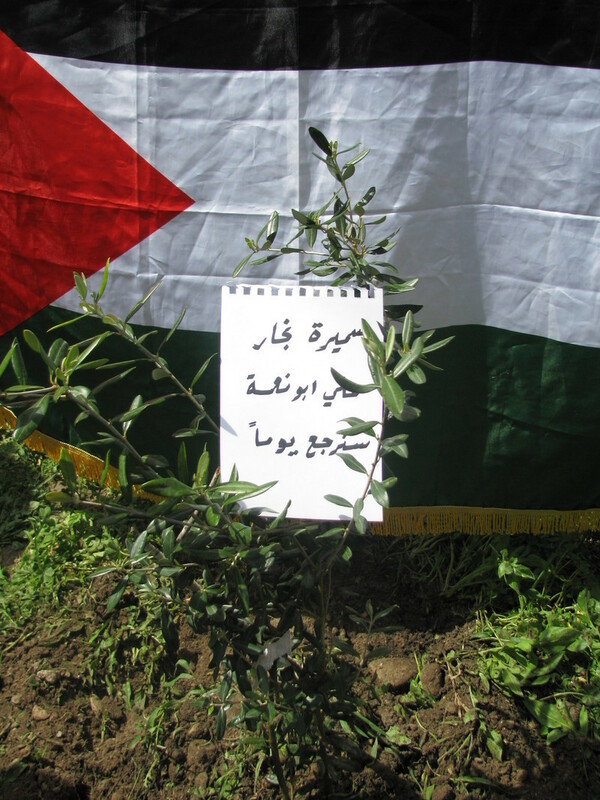 On Land Day, Budour Hassan (@Budouroddick on Twitter), visited Lifta, the village where my mother was born, just outside Jerusalem, and planted an olive tree in honor of my mother and me, as the photo shows. My mother and her family, along with all other Liftawis were forced out of the village due to Zionist attacks during the ethnic cleansing of Palestine in 1947-48. The village still stands, however, Israel has never permitted its people to return solely on the racist grounds that they are not Jews. Now, Israel plans to demolish what's left of Lifta and turn it into a Jews-only luxury condominium complex, compounding the crime of 1948. Lifta's people are now engaged in a new struggle to save the village. (See "Suspended in time, Lifta under threat," The Electronic Intifada, 25 March 2011). Thanks to Budour, and to her friend Amal who took the photo, for this very touching gesture. I hope that all Liftawis will have the chance to return one day, and see this tree grow tall! Ali Abunimah & David Cronin at King's College London on 24 March 2011, sponsored by the Palestine Solidarity Campaign and King's College Action for Palestine. While overall views of Israel have not moved substantially over the past year , there have been significant increases in negative views of the country among Americans (negatives rising from 31% to 41%) and Britons (from 50% to 66%). In total 28,619 citizens in 27 countries, were interviewed face-to-face, or by telephone December 2, 2010 and February 4, 2011 by the firm GlobeScan on behalf of the BBC. The poll does not give reasons for why this shift has taken place, but this erosion of support for Israel is no doubt due to a combination of factors: Israel's brutal massacre of Palestinians in Gaza in winter 2008-2009, the ongoing siege and the massacre aboard the Gaza Freedom Flotilla last May, as well as the general aura of extremism and intransigence conveyed by the country's actions (continued settlement in the occupied West Bank, ethnic cleansing in Jerusalem, racist laws against Palestinian citizens and so on). The reality of Israel is can no longer be hidden by slick hasbara. The world is waking up to smell the apartheid. Award-winning Gaza journalist and photographer Mohammed Omer will be speaking in the New York area between March 2-5. Do not miss the chance to hear him! Most recently, Mohammed has been reporting from Egypt and Gaza during the Egyptian revolution. Details of the events are below. sponsored by the Princeton Middle East Society, Interfaith Network for Understanding. Stony Point CenterAllison House 142 W. Main St. Stony Point, NY. (reservation required, Rabbi Lynn Gottlieb rabbilynn@earthlink.net)This event is co-sponsored by Jewish Voice for Peace Westchester,The Fellowship of Reconciliation and The Presbyterian Peace Fellowship.